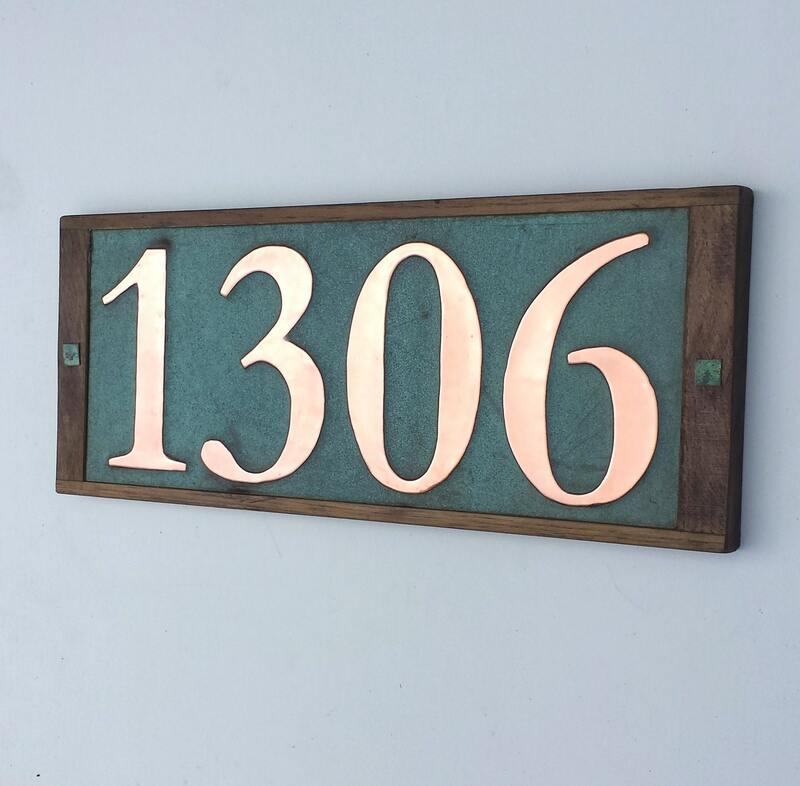 4 x number plaque in Garamond font in 6"/150mm high made from eco friendly copper - this is a 99% eco friendly recycled product. The copper tabs left and right cover the fitting screws for wood or masonry. 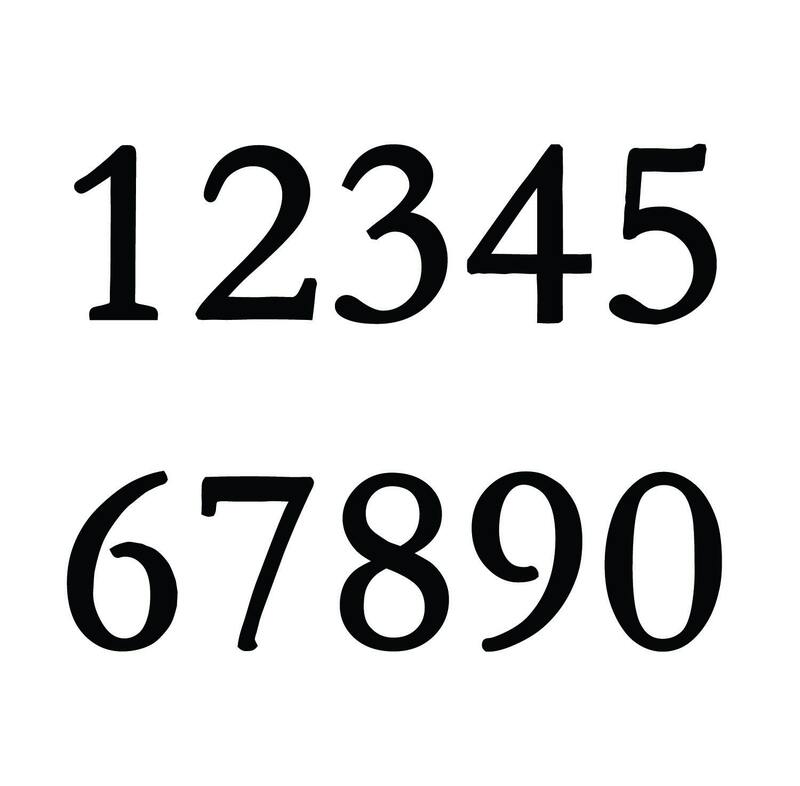 The polished copper numbers are laquered, the patinated surround is left 'as is' and will improve further with age and humidity. 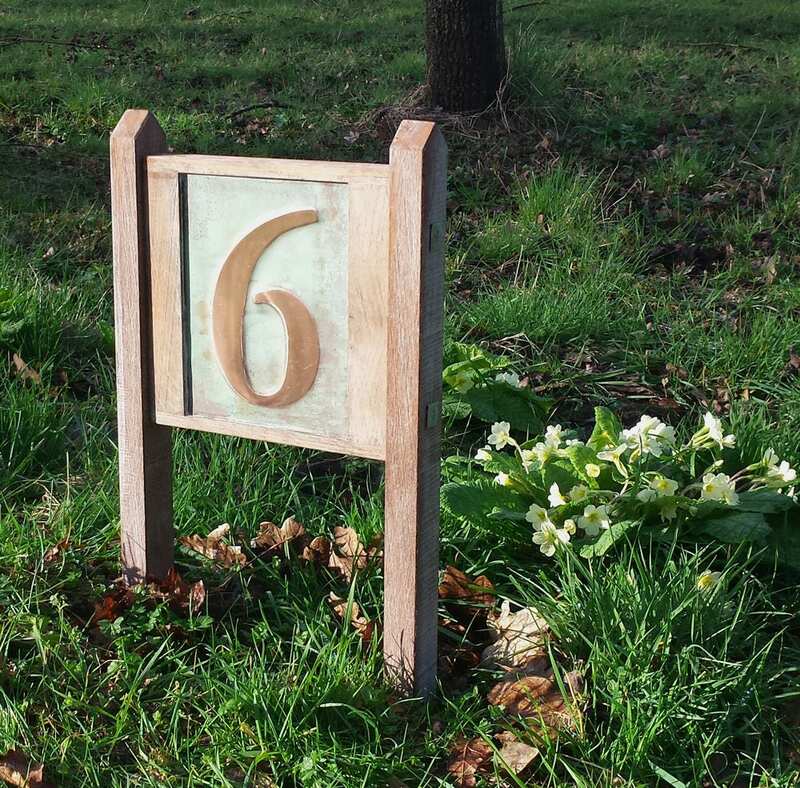 Oak posts for yard signs available 23in/ 58cms total length - recommend 8" in ground. 1306 Size approx 49 x 20cms/19" x 7.5"
Absolutely stunning! A much needed gem to jazz up my home! Thank you! Beautiful! A birthday gift that was deemed "perfect" from the guy who has everything. 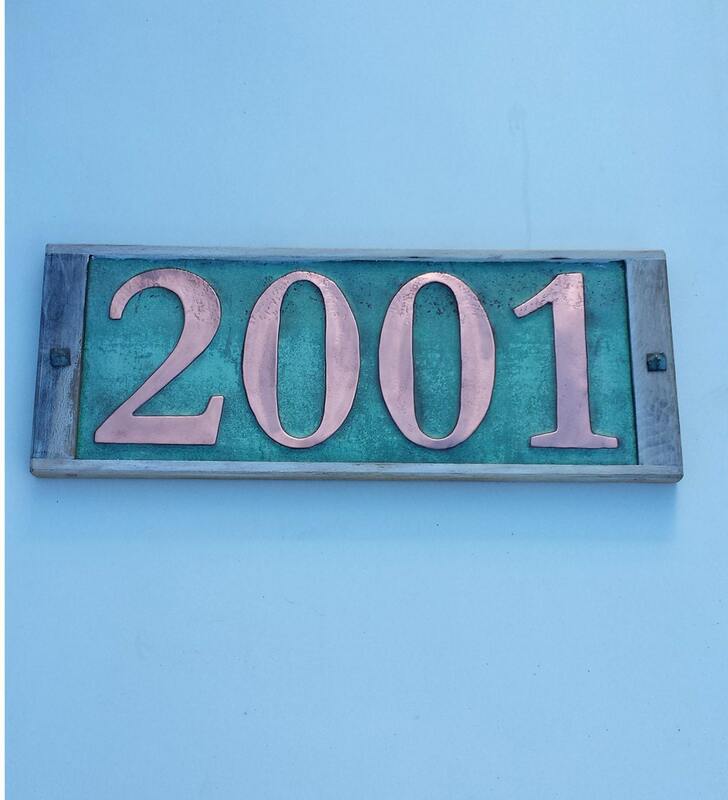 We love our new house numbers and so do our neighbors. It took a little while to ship, but it wasn't unexpected. The craftsmanship was worth the wait! Just perfect for the house! The sign is fantastic! So unique and well crafted, really a great touch on my old dutch colonial home, couldn't be happier!! !